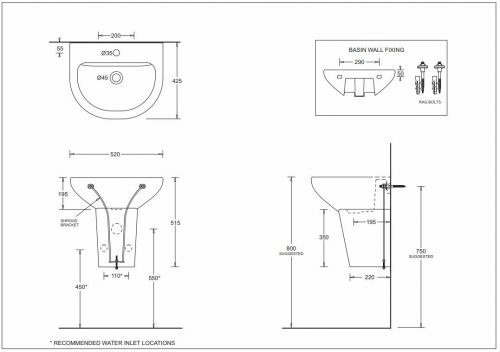 The Como Basin is an attractive bathroom basin which will add style and functionality to any design style. This wall basin comes in standard mid-size and is typically suited for smaller bathroom spaces. 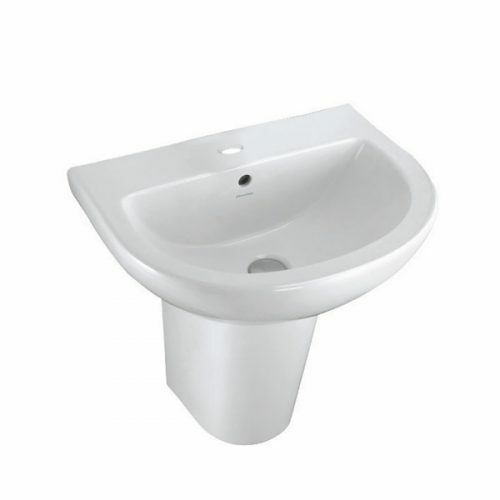 The Como Basin features a capacity of 6.5 litres and measures 520x425mm in dimensions. It includes one tap hole and is available with or without a shroud/pedestal. Give your bathroom a functional and stylish touch with the Como Basin. It is designed for easy installation and comes equipped with a plastic overflow plug and waste. Designed to offer great functionality, it also includes a wide soap platform and features an easy-to-use design. Enjoy the very best in quality with the Como Basin. It features superior quality of manufacturing due to which it offers added longevity. 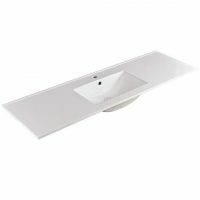 For an elegant mid-size bathroom basin in Perth, choose the Como Basin at Ross’s Discount Home Centre. 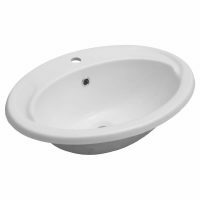 Shop from our online store to purchase this attractive bathroom basin at the best price in the market!